Next, Mr. Thomas will make his Opera Shanghai debut as the title role in Wagner’s Der fliegende Holländer, return to Opera Omaha as Tonio/Alvio in I Pagliacci/Cavalleria Rusticana, and perform in Opera Santa Barbara’s Gala Concert. 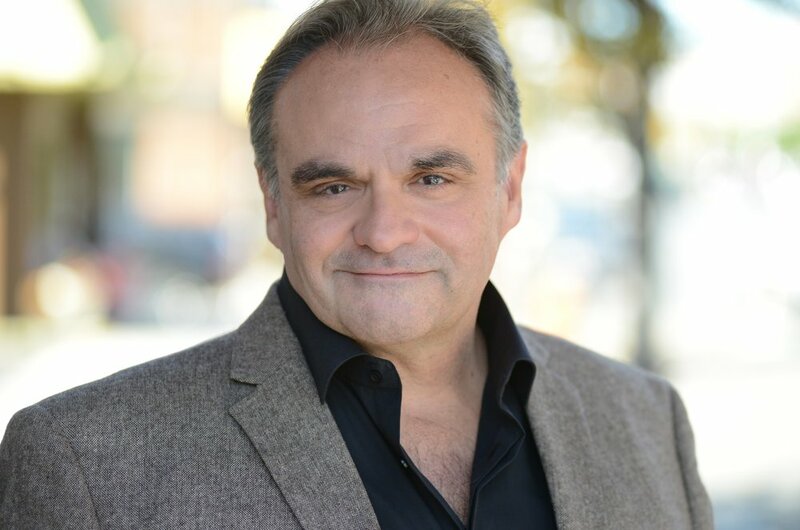 This past summer, he returned to Theater Erfurt in a ground-breaking production of Der fliegende Holländer and sang the title role of Falstaff with the Crested Butte Festival, in addition to his role there as Artist in Residence. More recently, engagements have included returns to the Lyric Opera of Chicago as Monterone in Rigoletto, the title role of Verdi’s Falstaff with Manitoba Opera, Sharpless in Madama Butterfly and Renato in Un Ballo in Maschera with Florida Grand Opera, title role in Rigoletto with Atlanta Opera, Scarpia in Tosca and Rolando in La Battaglia di Legnano with Sarasota Opera, Germont in La Traviata with Des Moines Metro Opera, Alberich in Das Rheingold with Pacific Opera Victoria in Canada, and Iago in Otello with Arizona Opera. Mr. Thomas’ made his Metropolitan Opera début as Dr. Metivier in War and Peace and subsequently returned for productions of Roméo et Juliette. Other engagements have included Count di Luna in Il trovatore and Falstaff with the Seattle Opera; title role in Rigoletto at Michigan Opera Theatre, Opera Birmingham, Manitoba Opera, Palm Beach Opera, Atlanta Opera, and Austin Lyric Opera; Scarpia in Tosca at New York City Opera, Florida Grand Opera, Opera Lyra Ottawa, Michigan Opera Theatre, Florentine Opera of Milwaukee, Orlando Philharmonic, and Opera Carolina; the title role in Falstaff with Opera Santa Barbara; Tonio/Alfio in Pagliacci/Cavalleria Rusticana with Arizona Opera and Opera Omaha; Count di Luna in Il trovatore at the Manitoba Opera and Indianapolis Opera; Sharpless in Madama Butterfly with Opera Carolina, Opera Omaha, and Florida Grand Opera; and Amonasro in Aïda with Opera Carolina and North Carolina Opera. In concert, Mr. Thomas’ most recent engagements include Leoni’s L’oracolo and Montemezzi’s L’incantesimo with Teatro Grattacielo at Avery Fisher Hall; his Carnegie Hall début in Duruflé’s Requiem and Mark Hayes’ Te Deum and Spirit Suite followed by returns for Händel’s Messiah and Mozart’s Coronation Mass. He enjoyed great success in the world premières and subsequent performances as the baritone soloist in Bob Aldridge’s Parables with the Topeka Symphony. He also sang Beethoven’s Ninth Symphony with the Evansville Philharmonic and numerous pops concerts with the Ocean City Pops Orchestra. Recital dates have included appearances on the various concert series of Elmira College, Grand Rapids Art Museum, Wednesday Music Club Series of Harrisburg PA, and the Glenridge Series of Sarasota. He also sang a solo recital entitled “If Music be the Food of Love” in Winnipeg, Manitoba as part of a fundraising event for the Community Ministries of The Westminster Church of Winnipeg. Early in his career, Mr. Thomas was a member of the MusikTheater Ensemble for Stadttheater Giessen. During his years in Europe, he was a guest artist in Basel, Switzerland, and Heidelberg, Germany, and made his début with Macedonia Opera as Amonasro in Aïda. Mr. Thomas also appeared in Hong Kong, Fiesole, Pisa, Cagnes-sur-Mer, Sarlat, Luzerne, and Utrecht, under the auspices of Stichting Pagliacci of Utrecht University. Mr. Thomas can be heard on the Naxos recording of Menotti’s Amahl and the Night Visitors. He also recorded a solo disc, Crown Him Lord of All, with Jon Spong, organist.